I don't know what it was with dishcloths there for a while, but I just couldn't seem to stop myself. Every time I finished one, there was another pattern I had to try, so I'd do "just one more" before starting a different project. 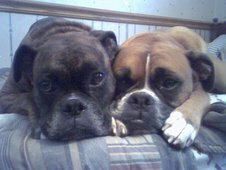 Fact is, I wish I were knitting one right now, but I've forced myself to take a break and do some other things. So, I've finished a scarf for my son (which I'd like to frog and do over, but he loves it! ), and now I'm working on another scarf for myself. 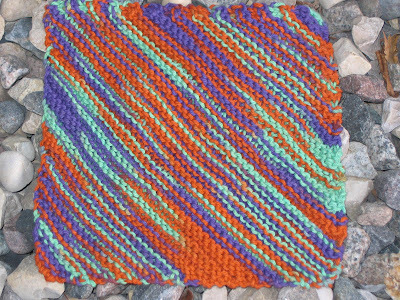 Meanwhile, for the sake of some knitting FO pics, I've compiled a little gallery of dishcloths for your viewing pleasure. First up, a little blue ditty that really doesn't have a pattern. 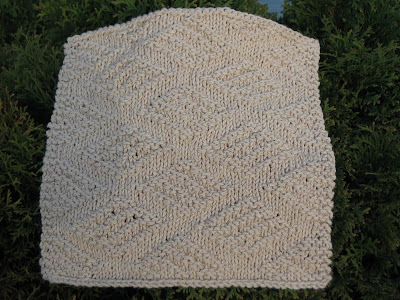 I saw the center section as part of something else, so I added a seed stitch border and turned it into a dishcloth. 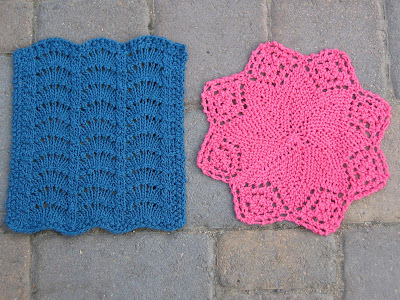 The pink one is a pattern I love, from a Leisure Arts book, Color Splash Dishcloths. 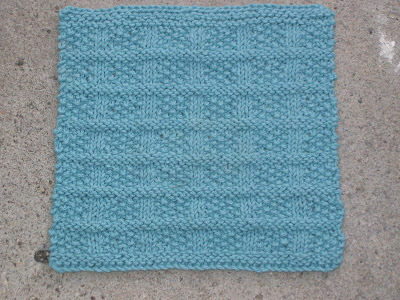 Next up, an attractive pattern in a frothy shade of seafoam. 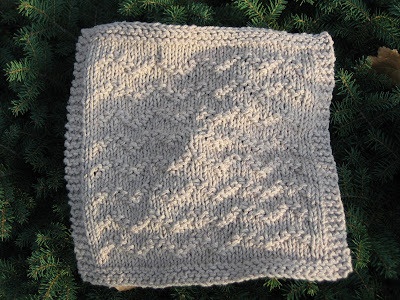 This pattern is called Stitch on the Blocks Washcloth, and was designed by Tricotine. Following Stitch on the Blocks is Another Favorite from Harvest Moon Designs. If you haven't been there shopping for dishcloth patterns, you're missing out. Sue comes up with more fantastic designs than you could ever imagine. And their service is great. 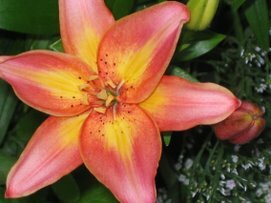 Right on the heels of these four colorful beauties comes a series of three done in the color "jute" from Sugar and Cream. A "Study in Neutral", as it were. All three patterns are from Harvest Moon Designs. Alana, that is a fantastic array of dishcloths! You're knitting technique is great, too... very even and professional looking! Alana, they're beautiful! 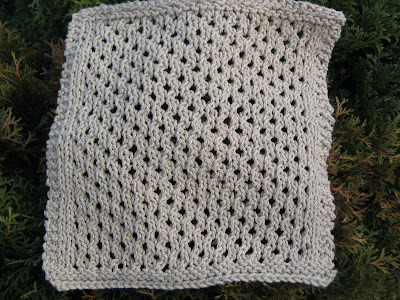 I might have to branch out from my simple stockinette or garter cloths and try something fancy like yours! your nephew is obviously brilliant!